This is part 3 of our 4 part #LoveWhereYouLive series. This Valentine’s season, we’re helping customers fall in love with their homes all over again. Finding your dream home is a lot like finding the perfect partner. It might take a while, but when you find the one, you know you’ll always have the support of someone who just gets you. And when you find your dream home, you’ll always have the perfect place to unwind and make memories. Thankfully, finding the perfect home is a lot easier than finding the perfect partner. A bit of planning and some legwork can get you into the home that fits you. No blind dates needed! While you might love craftsman homes or the sleek look of a modern kitchen in a penthouse apartment, you’ll be happiest if you consider what type of home will work best for you. Single-family homes offer more privacy and freedom, which can be great if you have kids or pets who need a yard to run around in. But single-family homes also mean more weekends full of maintenance projects. Condos often come with condo associations that handle a lot of the outside maintenance for you, but a condo might not have the green space you need for your family, and you’ll pay monthly dues to the association. You may know you want to live uptown, downtown or out in the country, but neighborhoods can vary greatly, even in the same area. To find your perfect fit, start by doing some research. Peruse online real estate listings to get an idea of the styles available in the area, check out a neighborhood’s walkability score and browse review sites like Yelp to see where you might get your late-night Chinese delivery fix. Take your research offline and visit areas in person too, especially if you’re relocating. Spending a weekend driving or walking around several areas can give you a real feel for the place you might call home one day. Before you start looking for homes, it helps to get pre-approved. It can be a daunting process for homebuyers, but it doesn’t have to be. Getting your finances in order first will make things go smoothly. Order your credit report and credit score to see where you stand (and where you can make improvements by correcting errors or paying your bills on time). Gather proof of income in the form of W2s and paystubs. Finally, tally the funds you have available for a down payment and closing costs. Once you get pre-approved and know what you’re likely to qualify for, it can be tempting to start looking for homes at the top of your price range, but that doesn’t always make sense. Taking on a mortgage bigger than you can comfortably afford can quickly sour the feeling of true love for your new home. Instead, many experts recommend adopting the 28/36 rule. Under those guidelines, your monthly housing expenses should not exceed 28 percent of your gross monthly income, while all your monthly expenses — including housing costs, car payments or student loans — should not exceed 36 percent of your gross monthly income. Sticking to these guidelines can help make sure you can comfortably afford your home. When you’re ready to look for homes, consider what works best for you now — and what will work best for you in the future. Ideally, you should plan on staying in your new home for the next five to seven years (or longer). Doing so can help you pay down the mortgage and build equity. For a house to be your perfect home, it will have to grow with you. If you’re planning on having kids, you may need an extra bedroom or two. Think you might start working remotely? You’ll want that home office. While you don’t want to overdo it and buy a five-bedroom home when you’re single, be sure to give yourself some room to grow. Unless you get really lucky, the homes you view probably won’t have every single thing on your wish list. In fact, the house might have a few things you don’t like. But that doesn’t mean it can’t become your perfect home. The key is looking past the exterior cosmetic blemishes to the home’s bones. Linoleum floors, a shade of paint you hate in the bedroom, or some kitchen cabinets that need updating are all things you can upgrade to fit your style. So look for a well-built home that has the space you need, some features you love, a layout that serves your lifestyle and a price point that allows you to make some changes. With a little TLC, this will be the home you will grow to love. Once you think you’ve found a home you want to make an offer on, take a second look. Both a home and a neighborhood can look completely different at different times of the day. For example, you might have viewed a home on a weekday morning when all was quiet only to find the neighborhood is too loud at night. To get a good idea of what you’re getting into, view the home at least twice, preferably at two different times of day — for example, on a weekday morning and then again on a weekend evening. 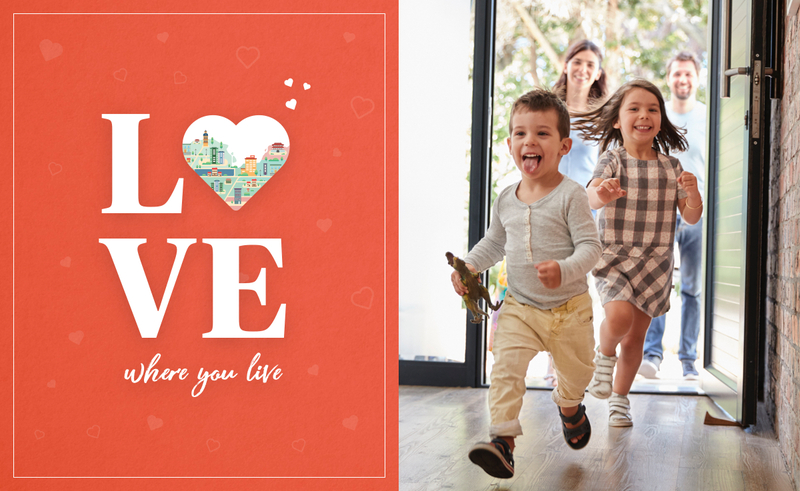 Finding a home you love is a top priority, but for the love affair to last for years, you’ll have to love the neighborhood too. While driving or walking around, ask yourself if the house is in an area that really fits your needs. Are you an avid outdoor enthusiast? You probably don’t want to be 40 miles from the nearest hiking and jogging trails. Do you rely on a wide variety of restaurants for quick takeout on weeknights? Look for restaurants that suit your taste buds and your lifestyle, ideally on your typical route between work and home. No matter what the condition of the home looks like, avoid any potential unpleasant surprises later and get a home inspection by a licensed home inspector. A good home inspector can tell you everything from the age of the roof to potential problems you might have with the water heater down the line. In a relationship, the perfect partner you imagined might not be who you end up with — and that can be a good thing. The same goes for finding your perfect home. You may be in love with a certain type of architecture or having a big porch, but you don’t want to get too fixated on it and overlook the otherwise perfect house that’s missing that one particular feature. Stay flexible, be willing to compromise, and you’ll be sure to find your dream home. 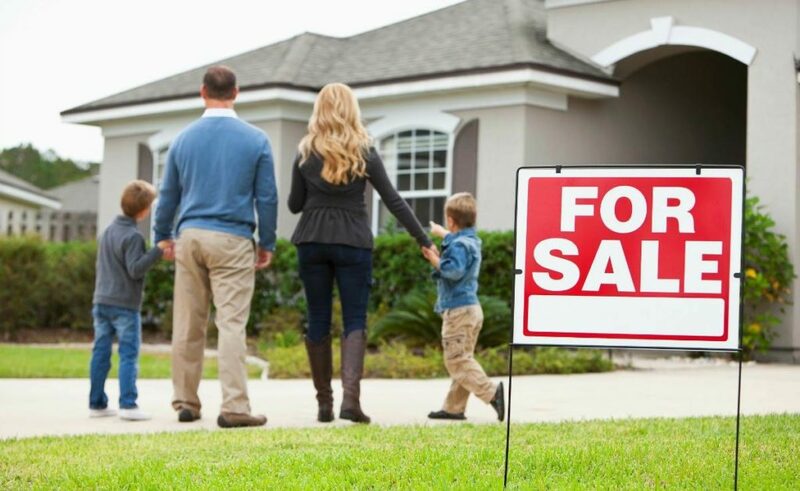 Do you have some thoughts or tips on how to find the dream home? Follow us on Facebook, Twitter or Instagram!